The Koleos successor will not have a "flashy" design. The current model is shown. Renault says that five seats are enough for the automaker's Koleos successor because the brand has enough seven-seat vehicles in its lineup. Renault already has a seven-seat Espace large minivan while the new Scenic compact minivan will have a seven-seat version and the brand sells seven-seat Kango car-derived van. "I don't think there are enough families with four kids" to justify adding another seven-seat model, Renault's design chief Laurens van den Acker told me at the Geneva auto show last week. The new-generation Koleos, which will sit above the Kadjar compact crossover, goes on sale in Europe starting early next year. The next Koleos and Kadjar share the CMF-C/D based platform with the compact-sized Qashqai and larger X-Trail from alliance partner Nissan. "Essentially we have made a Renault version of the X-Trail," van den Acker said. But unlike the X-Trail, the Koleos replacement will not offer room for seven. Also, don't expect the new SUV to offer a flashy design. "The higher the price the more conservative the customer," van den Acker said. He declined to comment on whether Renault would keep the name Koleos. The first generation of the South Korean-built SUV has been a sales flop, with European volume down 29 percent to 5,310 units last year. By comparison, the Captur is Europe's top-selling small crossover and the Kadjar is on pace to be among Europe's top-five selling compact SUVs this year. 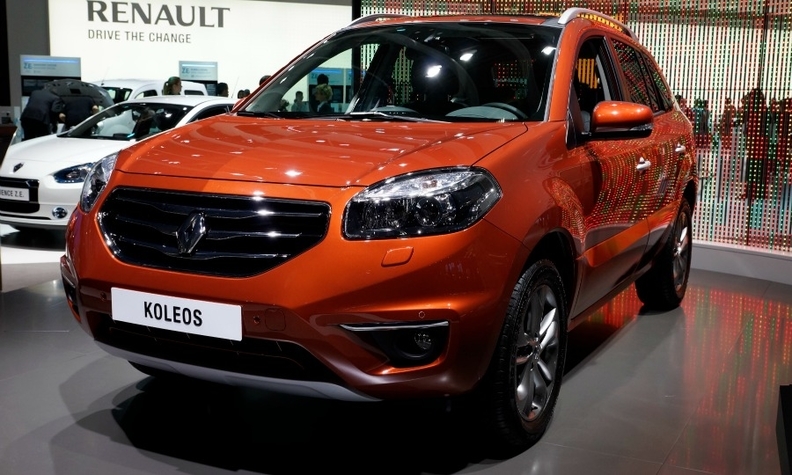 In contrast to Europe, the Koleos has been a steady seller for Renault in China. Its successor will have its world debut at the Beijing auto show next month.